Notice: This item is available for shipping within the US only. We cannot ship this item to international destinations and will cancel international orders for this item. 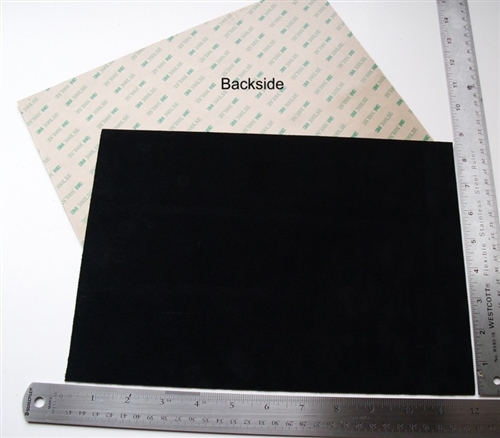 SUEDE-DIY-30pk is a pack of thirty large sheets of premium suede, each sheet of size 8.5 in x 12 in (21.6 cm x 30.5 cm) with a thickness of 3/64 inch (1.2 mm). The sheets have a backing of 3M industrial-strength double-sided adhesive, the strongest double-sided adhesive available. The adhesive adheres strongly to leather, most rubber compounds, Nylon, ABS, and Kydex.